When it comes to wedding cake decor, most couples choose to adorn their wedding cake with a cake topper of some kind. 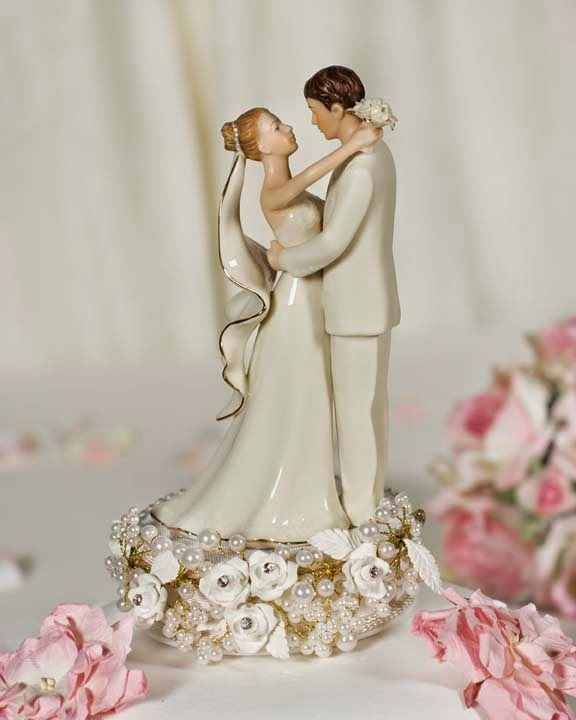 Wedding cake toppers come in many forms and can be as different as the couples who choose them. From elegant monograms to fun and humorous cake toppers, you'll find something unique to crown your wedding cake in style and put a personal touch on your wedding cake. As flowers are such a big part of weddings, it's only natural that flowers would make their way atop wedding cakes too. Flowers as wedding cake toppers add natural beauty to wedding cakes and are perfect for any type of wedding that features flowers in other areas like the bride's bouquet or table centerpieces. Floral cake toppers can be created by a small tight bunch of blooms on the top of the cake or a group of flowers cascading down the wedding cake. You can use silk or real flowers as a wedding cake topper. If you use natural blooms, be sure to use varieties that will remain fresh without water for a few hours. You don't want faded and wilting flowers on top of your wedding cake. If you and your fiancé joke around a lot or want to lighten up the seriousness of your wedding, there are wedding cake toppers that will give a sense of comedy to your wedding reception. You can find lots of wedding cake toppers that will make you giggle. 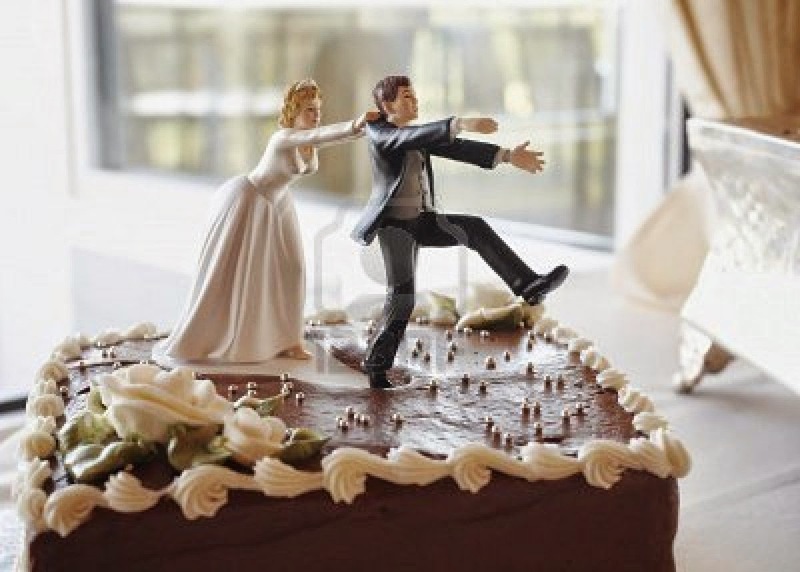 Humorous cake toppers are available that feature the bride and groom climbing up the wedding cake, the bride fishing for the groom and even a cake topper where the bride drags the groom by the pant leg. Though they're certainly not for every couple, if you and your fiancé have a fun sense of humor and want to lighten up your wedding reception, a funny wedding cake topper will do the trick. Monograms are popping up everywhere in weddings these days and the top of the wedding cake is no exception. 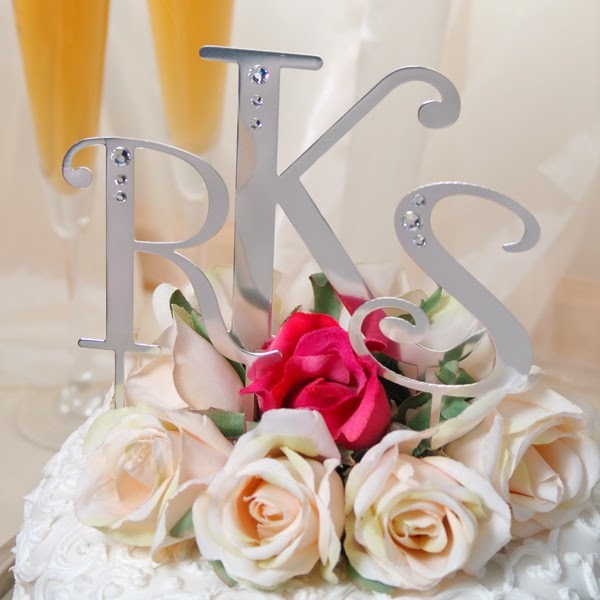 Monogram wedding cake toppers are a very elegant way to show pride in the names of the bride and groom. Wedding cake toppers featuring monograms are also a great way to put a personal mark on your wedding reception. Monogram cake toppers generally feature the initial of the groom's last name (which is the bride's new last name), but they can also be a combination of the bride and groom's names. You can use a monogram as your wedding cake topper in several different ways. 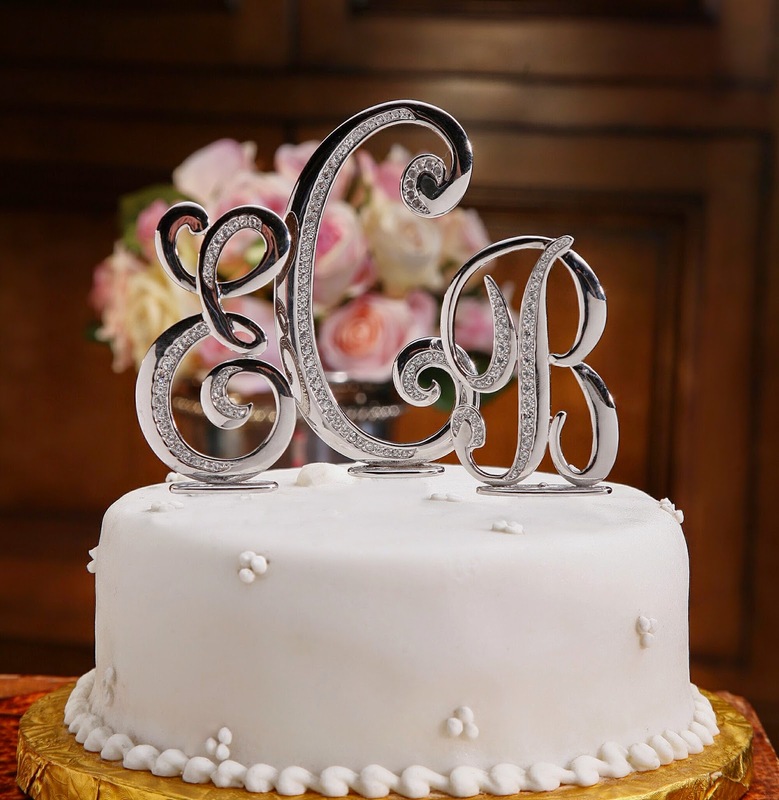 The monogram can be created using spun sugar, flowers or you can purchase a monogram cake topper made from plastic or lightweight metal. There's something very charming about a wedding cake topped with the traditional bride and groom standing side by side. Traditional cake toppers give your wedding cake a very cute and retro look. If you're thinking that you and your fiancé aren't exactly the traditional bride and groom, that doesn't mean that you can't use a traditional wedding cake topper. These days, retailers offer different choices of brides and grooms in every color, shape and size. For couples who want to give their wedding cake a touch of classic appeal, a traditional wedding cake topper is just right. With so many choices to top your wedding cake, you'll surely find a wedding cake topper that will go perfectly with your cake. Think about your personal wedding style and determine which topper, floral, humorous, monogram or traditional, is best to crown your wedding cake.